21. Grow an assortment of trees, shrubs, and other plants to provide food and cover for a variety of birds. As the human population surges, natural habitat dwindles and backyards become increasingly important refuges for birds and other wildlife. 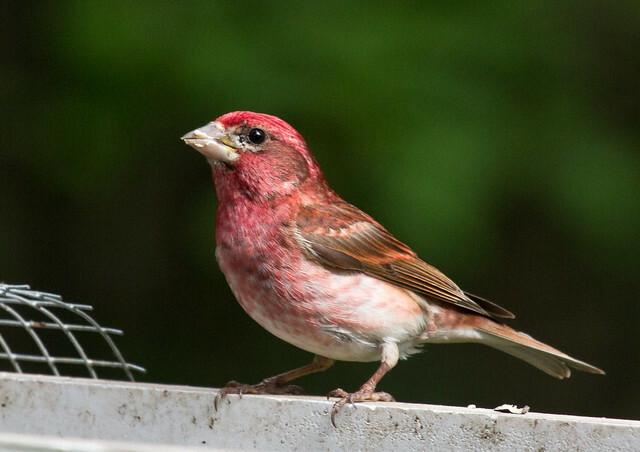 Backyards will never be ideal for species that depend on forest interiors or unbroken prairies, but many birds can thrive in our yards if we provide suitable food, water, cover, and nesting sites. Food. Grow native vegetation that produces acorns, berries, and other seeds or supports insect life to supply food for wildlife. For NWF certification, feeders can supplement natural food sources for birds. Water. Provide a constant, reliable source of water in birdbaths, ponds, pools, or shallow dishes. Dripping or moving water is especially attractive to wild birds. Standing water in birdbaths and in ponds without fish or frogs must be cleaned every two or three days to prevent mosquitoes (which can carry encephalitis and West Nile virus) from hatching. Follow sound water conservation practices in keeping with regional water availability. Cover. Create cover for wildlife with densely branched shrubs, hollow logs, rock piles, brush piles, stone walls, evergreens, meadow grasses, and deep water. This helps protect wildlife against predators and the elements. Places to raise young. Offer wildlife safe places for courtship and for nurturing young. Mature trees provide den sites for squirrels and nesting places for birds. 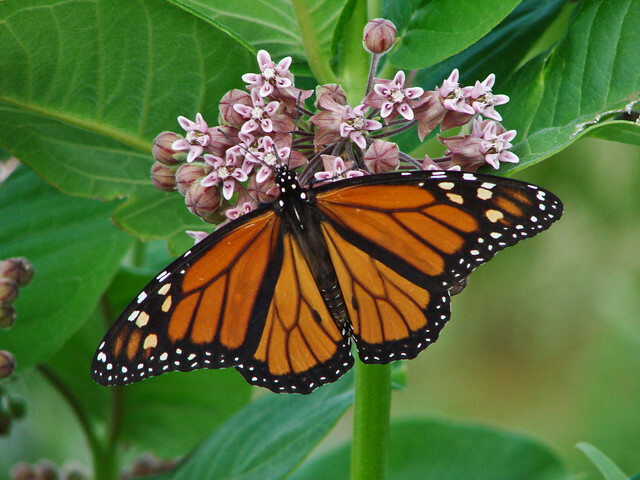 Milkweed provides nesting fibers for goldfinches as well as food for hummingbirds and monarch butterfly larvae. Salamanders, frogs, and toads thrive in ponds or water gardens, where ducks may nest, too. Nest boxes provide safe nesting sites for cavity-nesting birds. Sustainable gardening practices. The way you garden or manage your landscape affects wildlife in your yard and your entire neighborhood. Planting natives, reducing chemicals, and building healthy soil are just some of the things you can do to help wildlife and conserve natural resources. There are many materials available from the library, local and state garden clubs, environmental organizations, state departments of natural resources, and the Internet to help you select plants to improve the bird habitat in your yard, including lists of cultivars that provide food or nest sites for particular species in different regions of the country. 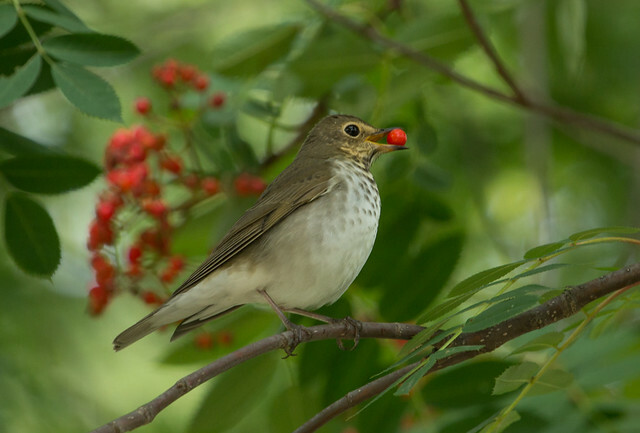 Some birds are especially attracted to specific plants—waxwings, robins, and bluebirds to various berries; hummingbirds to various nectar-and insect-rich flowers; Red-headed and Acorn Woodpeckers, Scarlet Tanagers, and jays to oaks; Evening Grosbeaks to box elders and maples; Purple Finches to raspberries’ orioles to elms; grouse and sapsuckers to aspens; and redpolls to birches. 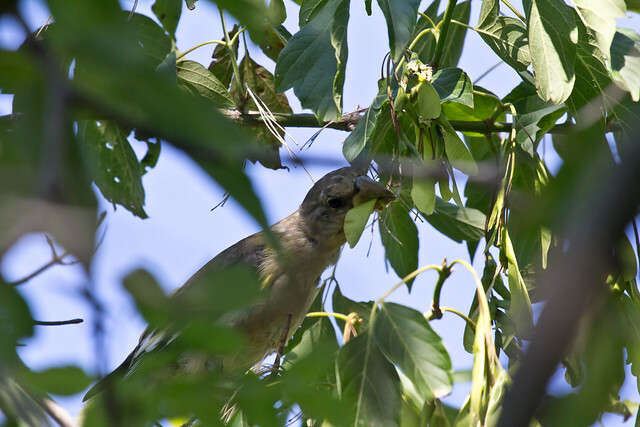 It’s critical to follow guidelines specifically for your geographic area to ensure that the habitat you provide is appropriate for the birds likely to appear in your yard. Living plants aren’t the only ones that provide shelter for birds. Many birds hide and nest in brush piles as well as in dense vegetation. In my own yard, a brush pile that was popular with migrant sparrows, local cardinals, and a host of other birds became an attractive and useful part of the landscape thanks to the Purple Finches that planted (via their droppings) a lovely stand of raspberries in and around the brush they used as a retreat. 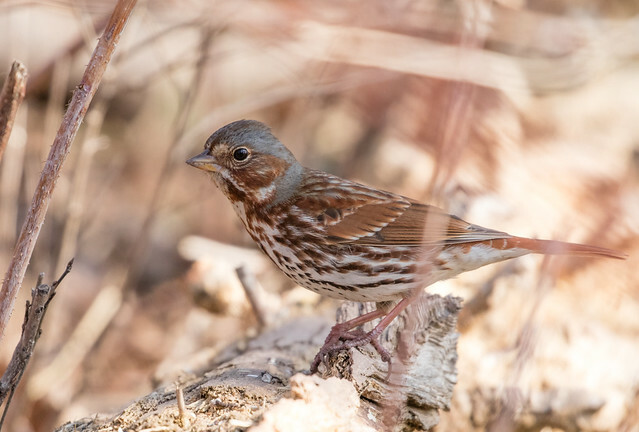 A pile of dead branches can be unattractive, but fortunately, the value of a brush pile for birds isn’t harmed (and is usually enhanced) by planting shrubs or perennials around it. 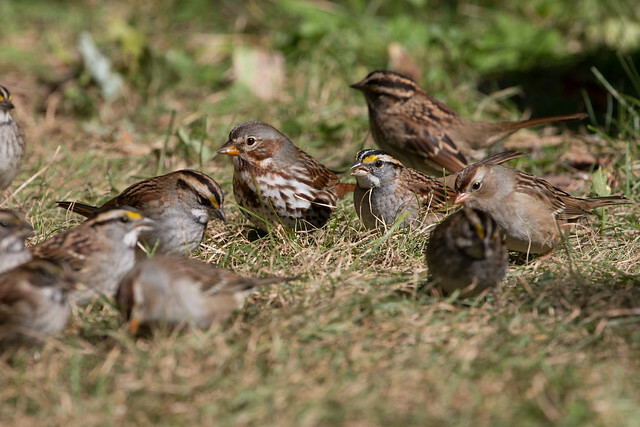 Brush piles often attract native sparrows. I’ve had as many as twelve species feeding together on sunflower and white millet seeds spread around my backyard brush pile. Most of the cardinals that appear in my backyard also feed near the brush pile, where they can beat a hasty retreat if the neighborhood Merlin flies over. Brush piles set near water can also provide a safe haven for salamanders and frogs. Unfortunately, they’re sometimes good hiding spots for natural predators, too, such as the occasional weasel or skunk. This isn’t a problem in my backyard, where my dogs keep most other mammals away, or in rural areas where predators are an important part of the natural environment. But it can be a serious issue in prairie pothole regions, where slash from aspens provides enough cover to allow predators to sneak up on and kill large numbers of nesting waterfowl. 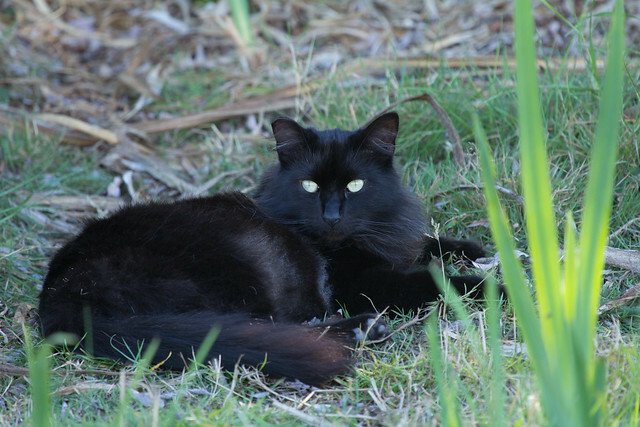 If you develop a problem with animals preying on your birds, spreading around handfuls of cat or dog fur brushed from a pet will deter many of them. Unfortunately, brush piles can also hide neighborhood cats. 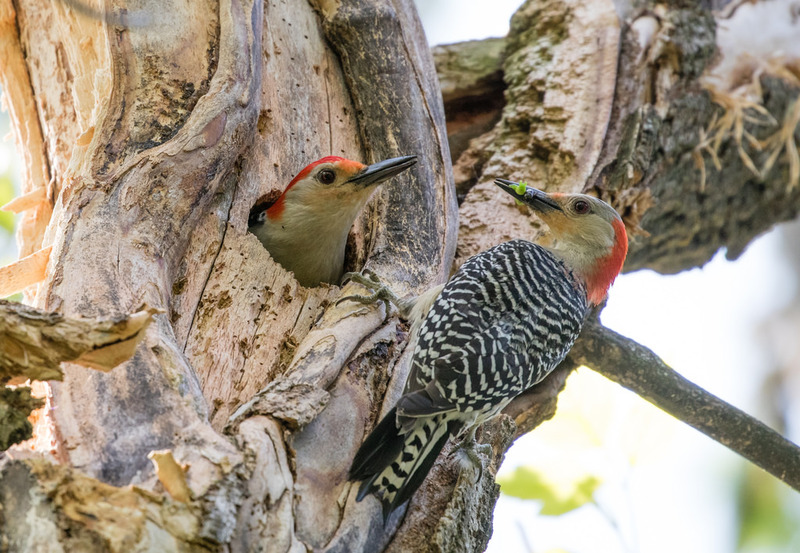 Dead and dying trees can provide nesting havens for woodpeckers and other cavity-nesting species. But it’s important to remove dead trees that are within falling distance of your house, sidewalk, or road.